Financing can be provided through Sheffield Financial. How? It's simple. Their retail finance programs are straightfoward and easy. And, their innovative variety of promotional choices, friendly and timely service, quick-minute credit decisions, loan contract assistance and prompt payments are unmatched in the industry. Sail through your trailer buying experience with ease by getting preapproved. 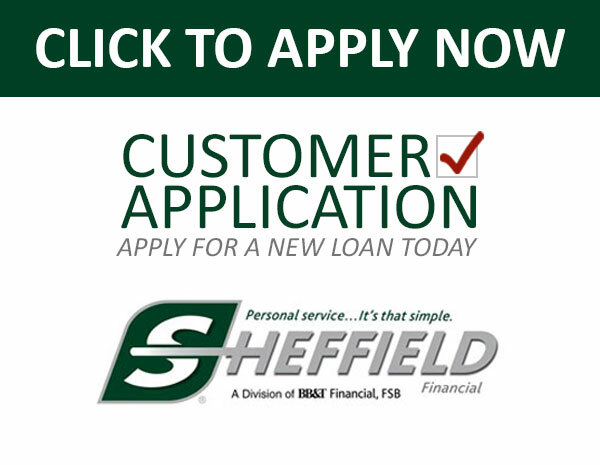 Review the current programs offered and visit Sheffield Financial where you can fill out a Application for a New Loan. Click here for a PDF application.